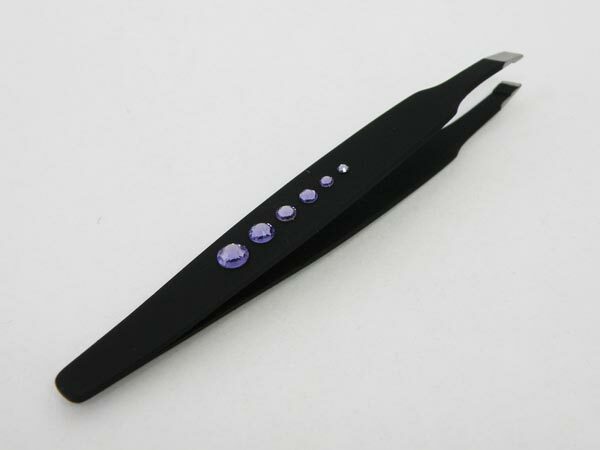 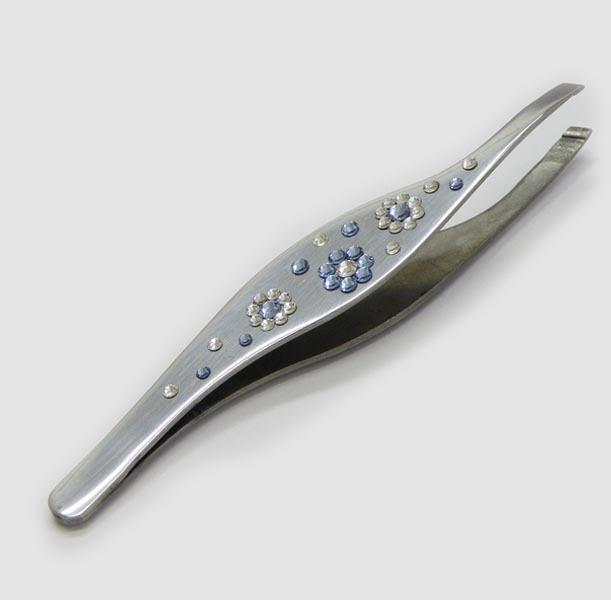 Stainless steel eyebrow tweezers in variety of colors and shapes hand decorated with crystals, packed in black velvet pouch to put in your purse. 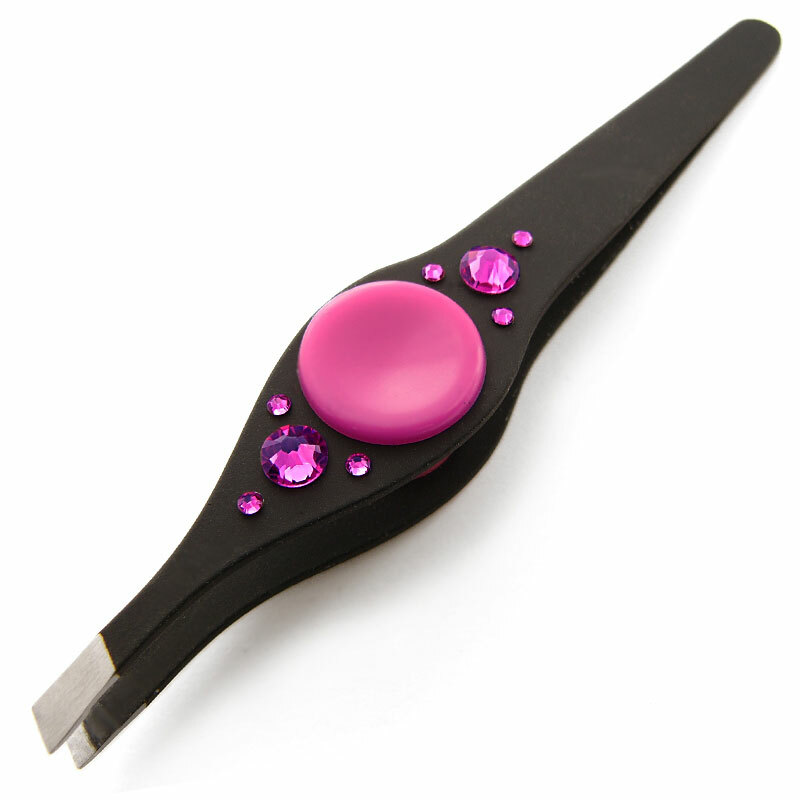 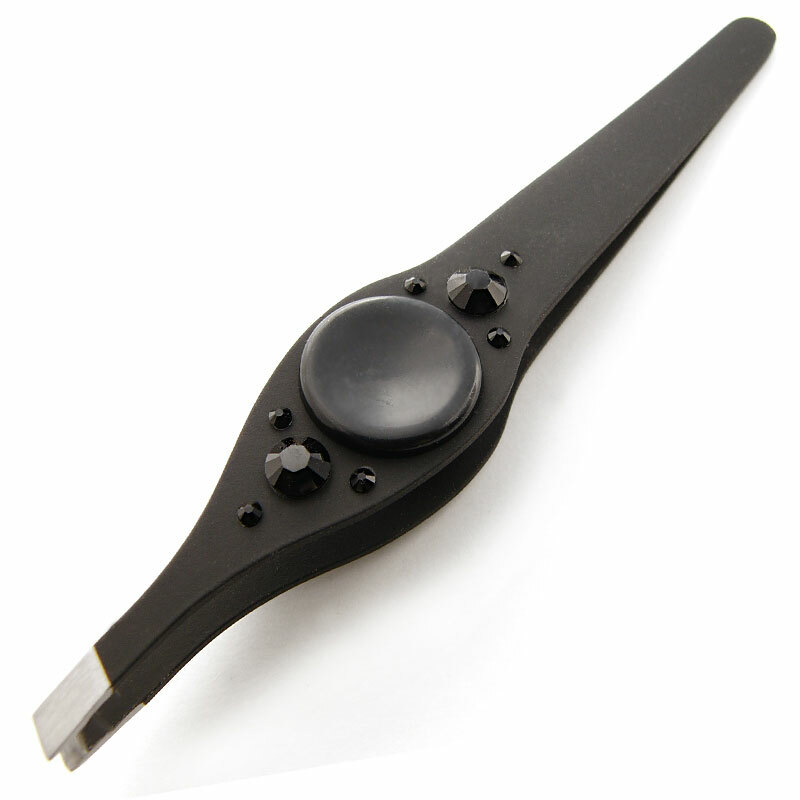 Eyebrow tweezers covered with rubber will make it almost impossible for the tweezers to slip of your hands, while the one with rubber button will raise the comfort of using these tweezers. 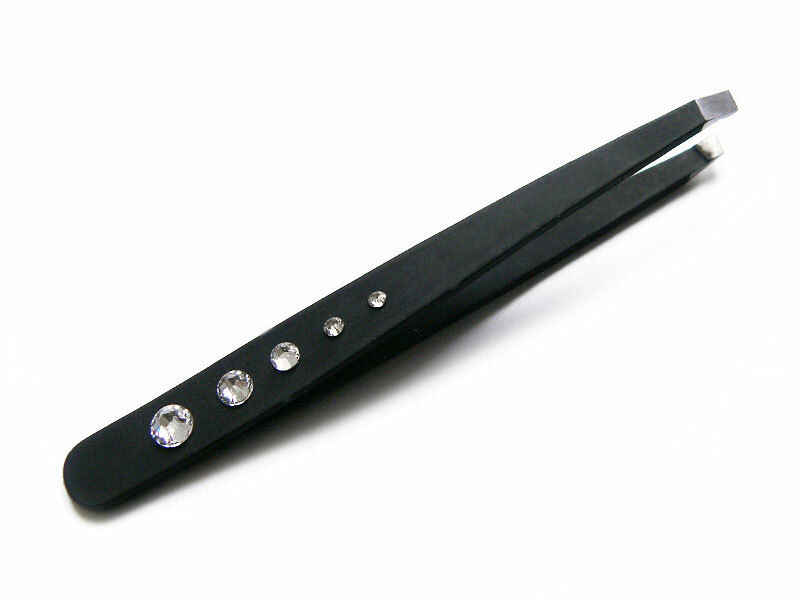 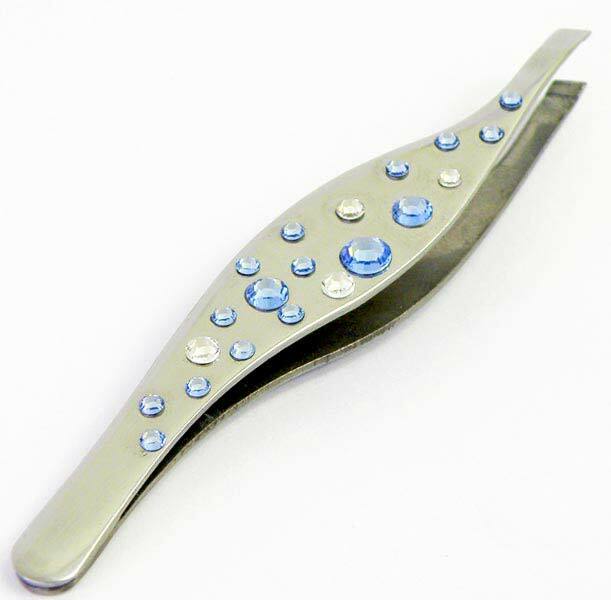 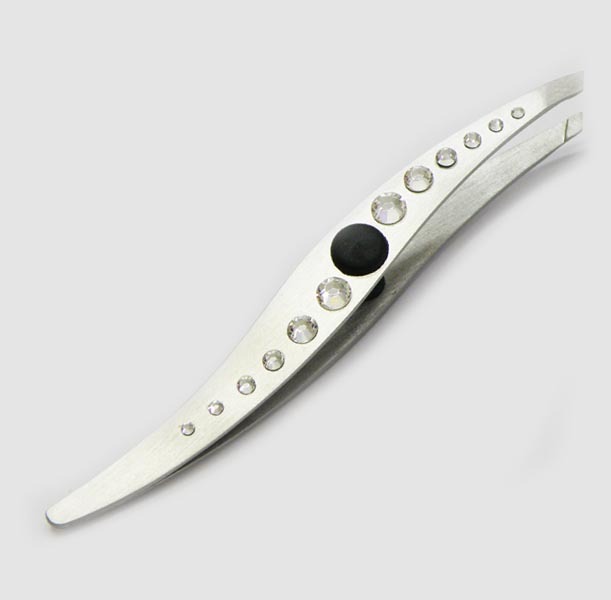 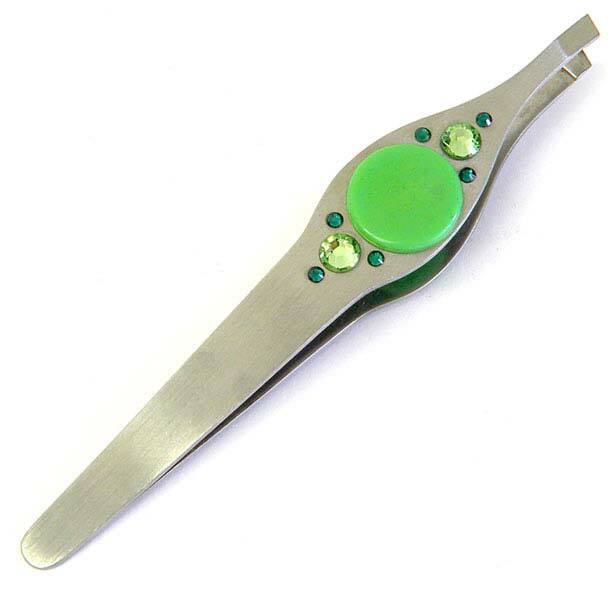 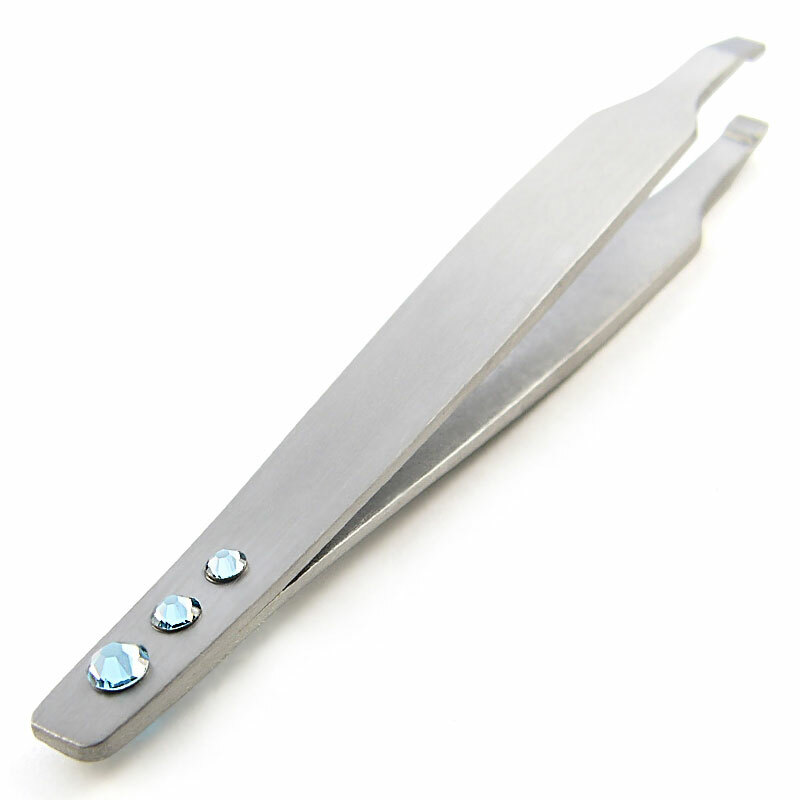 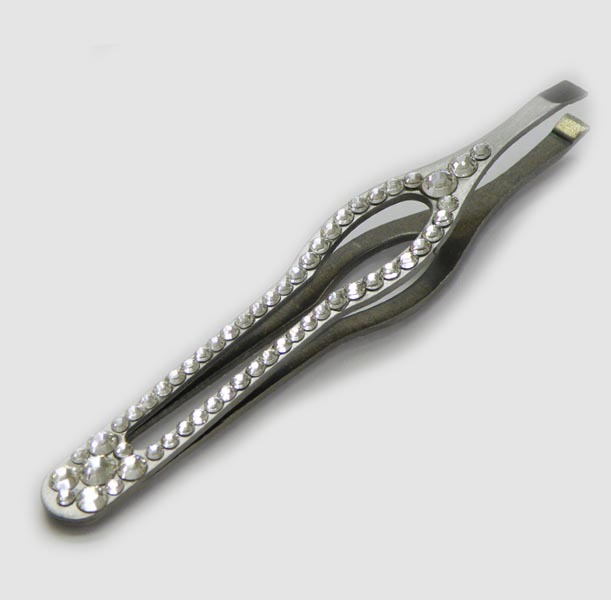 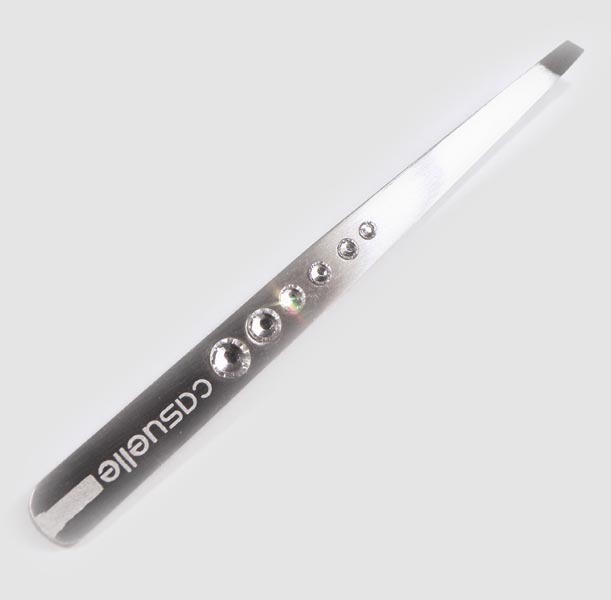 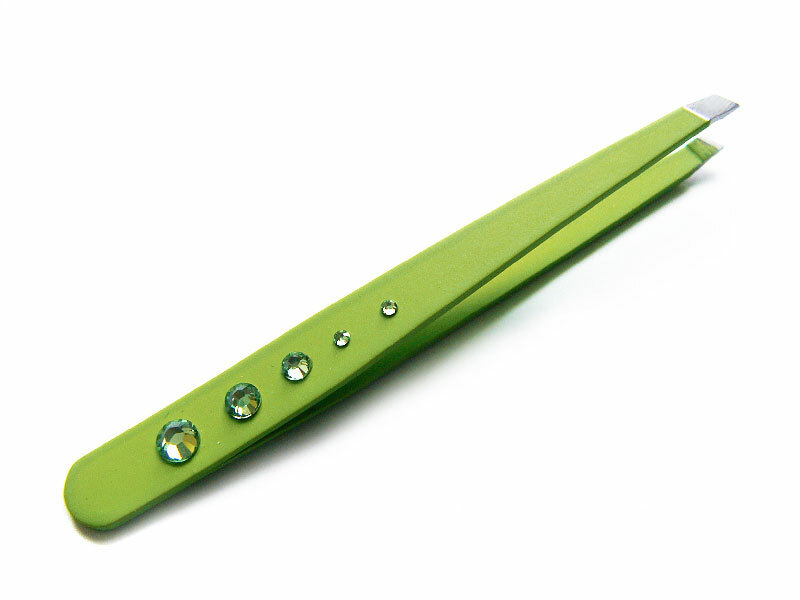 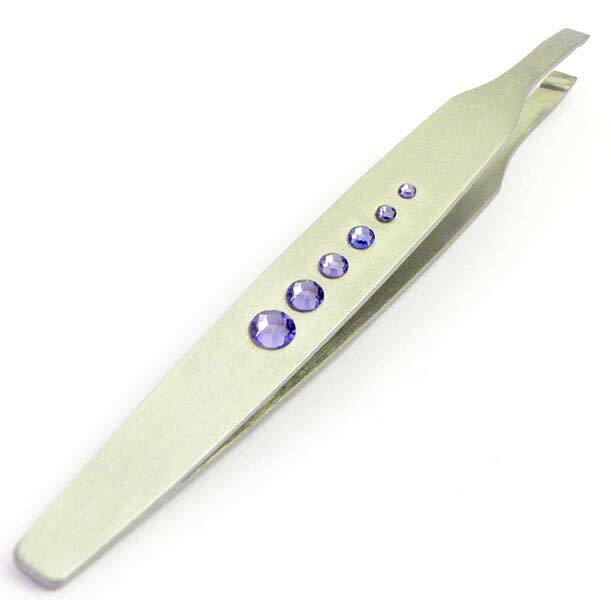 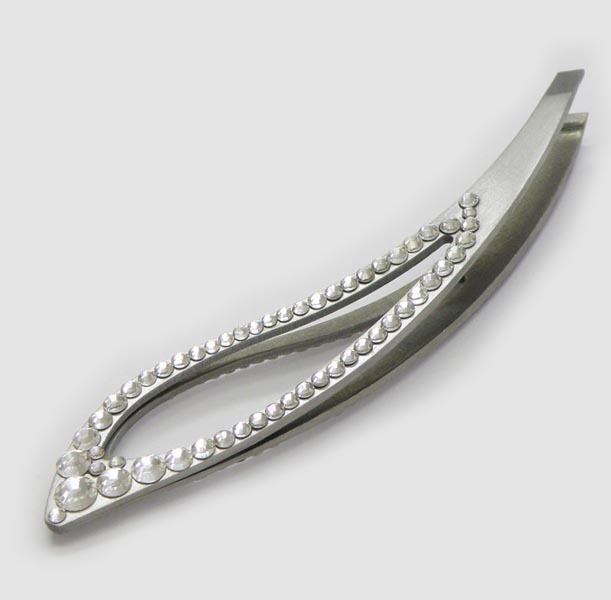 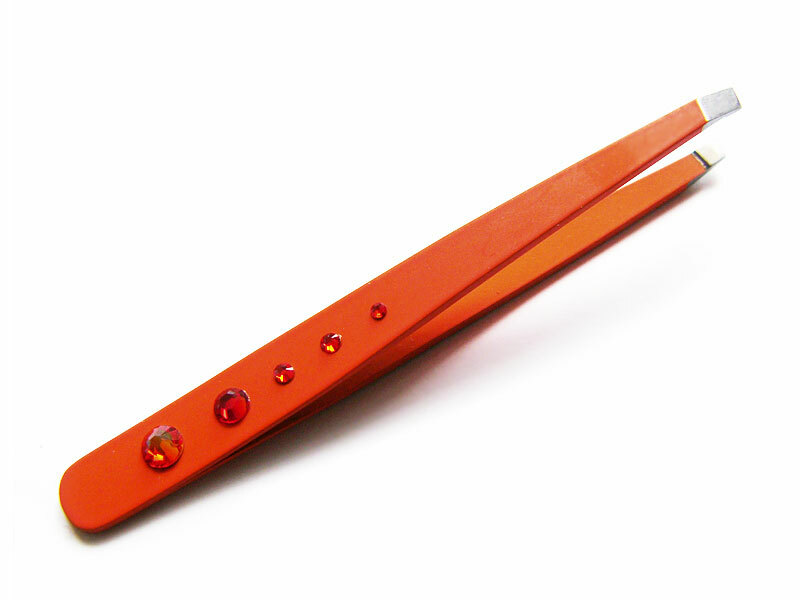 Our swarovski eyebrow tweezers are very comfortable to hold in your hand, they are precise and will bring you very good long lasting service. 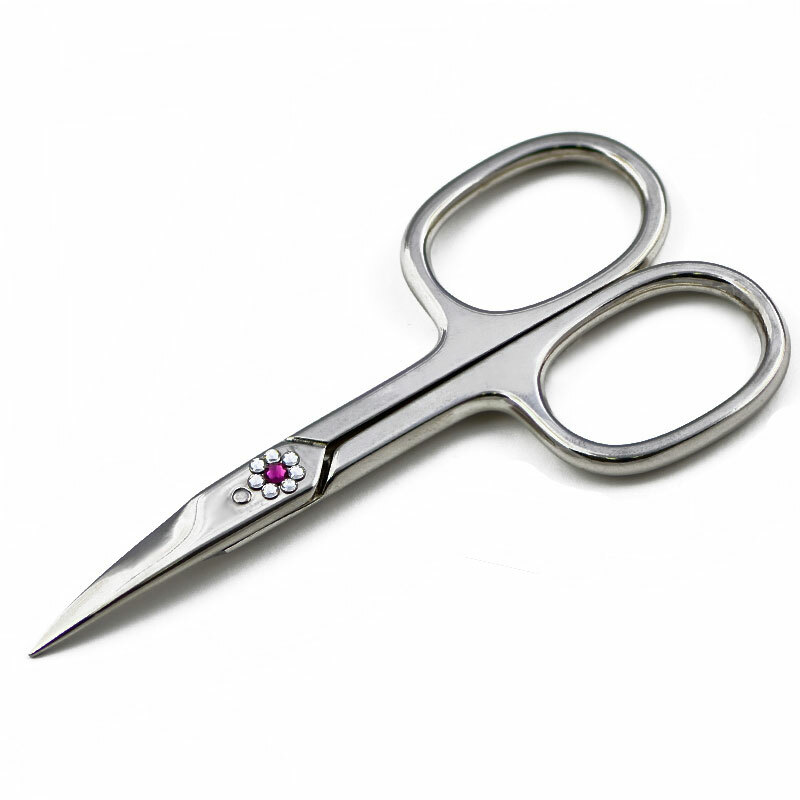 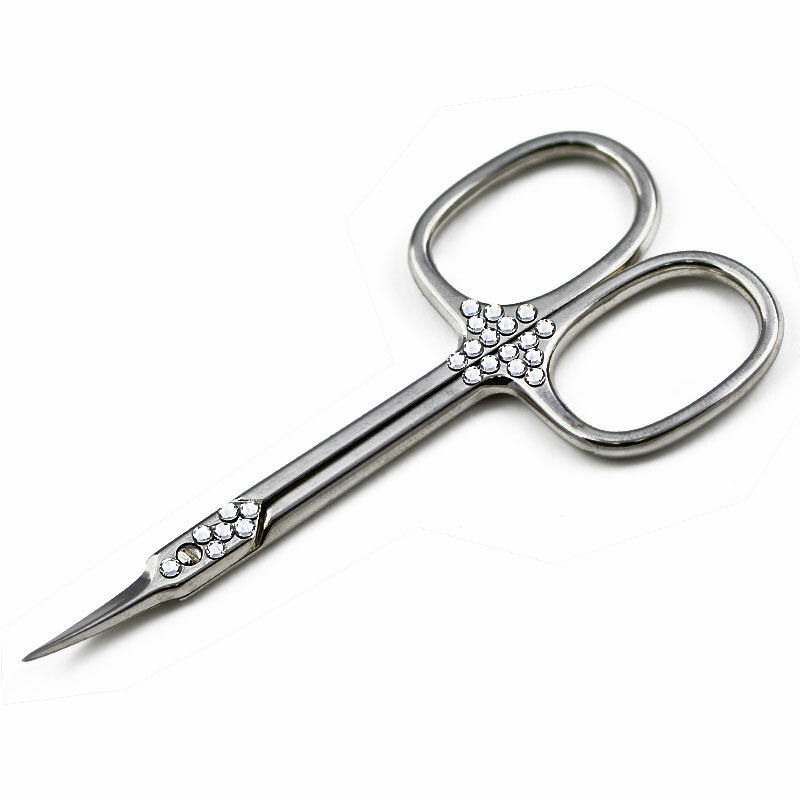 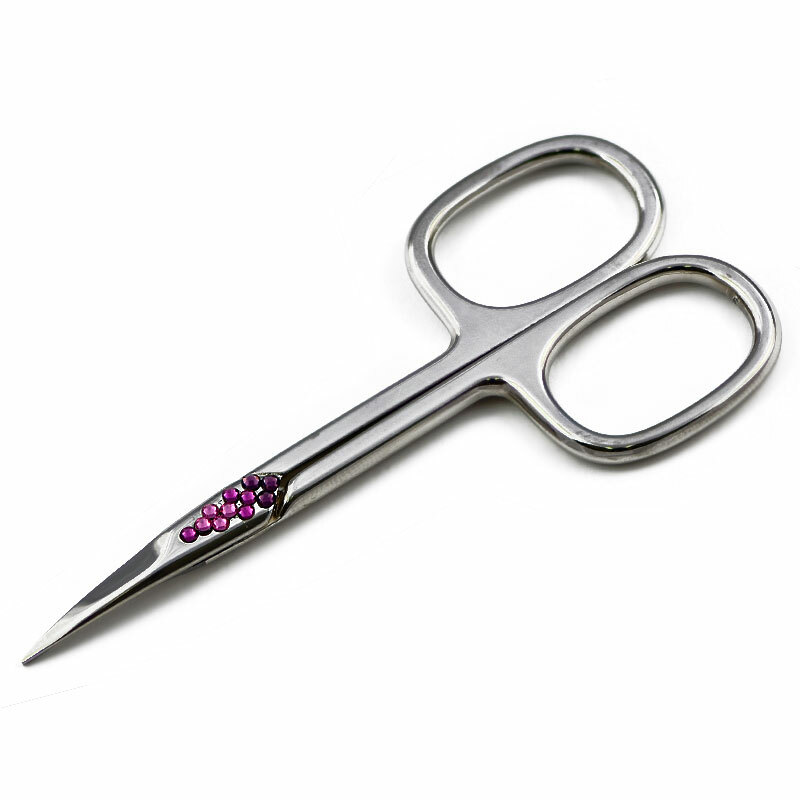 High quality nail scissors made in Germany and decorated with Swarovski crystals, packed in very nice blister with euro-hole. 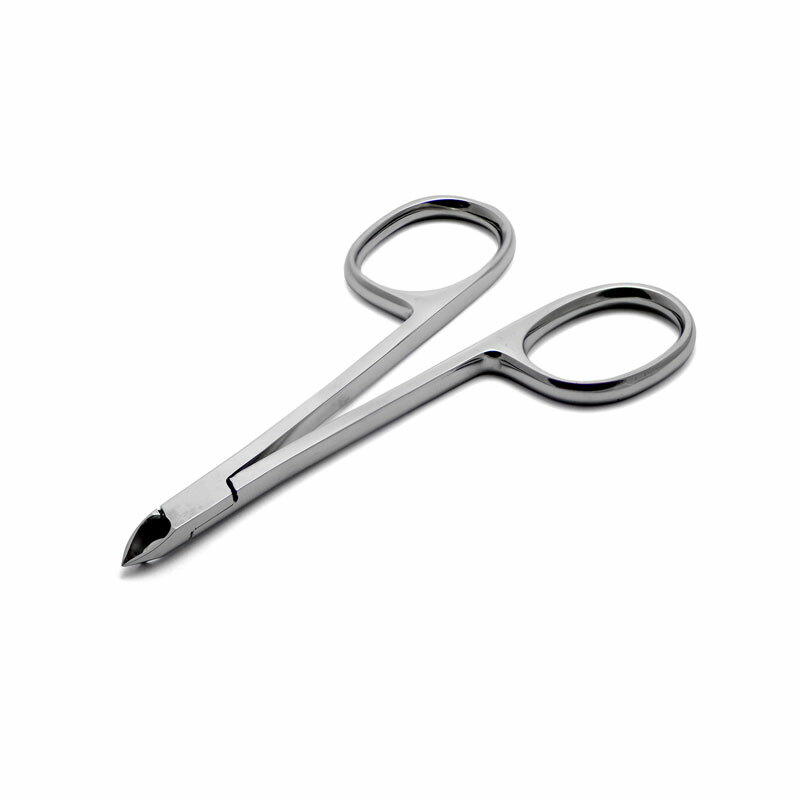 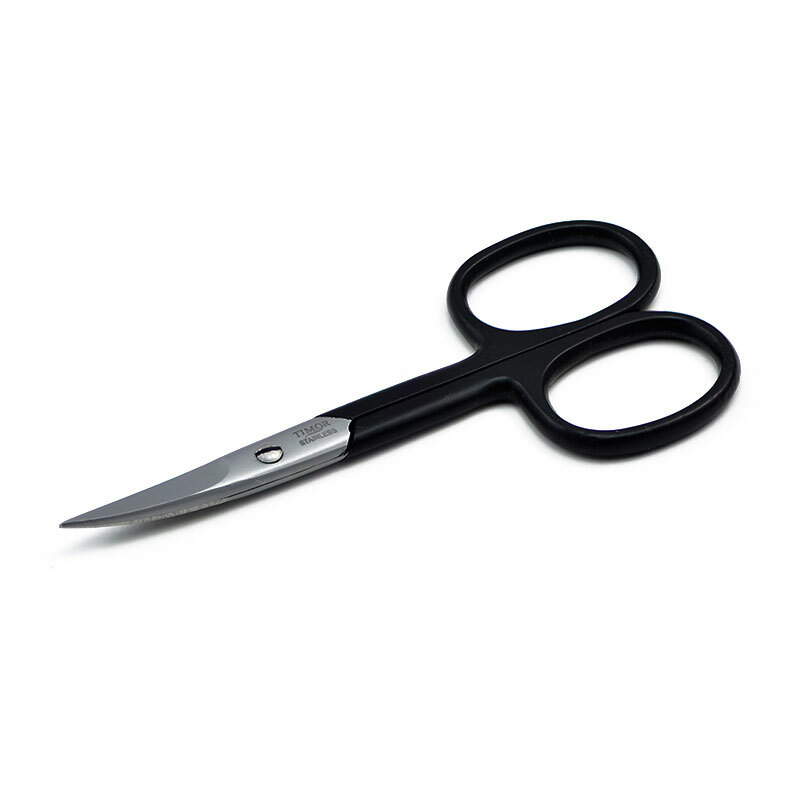 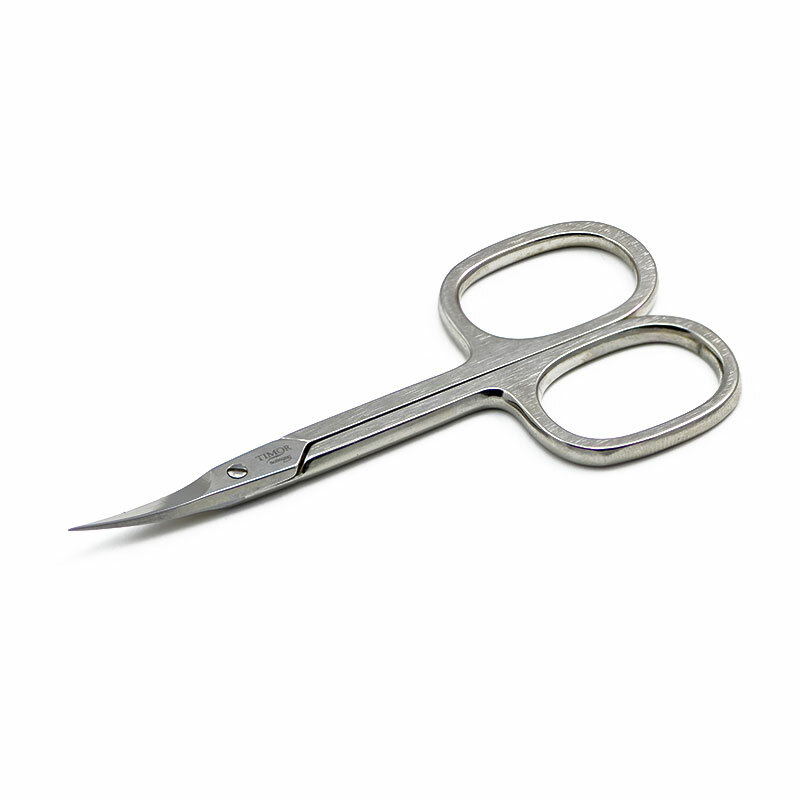 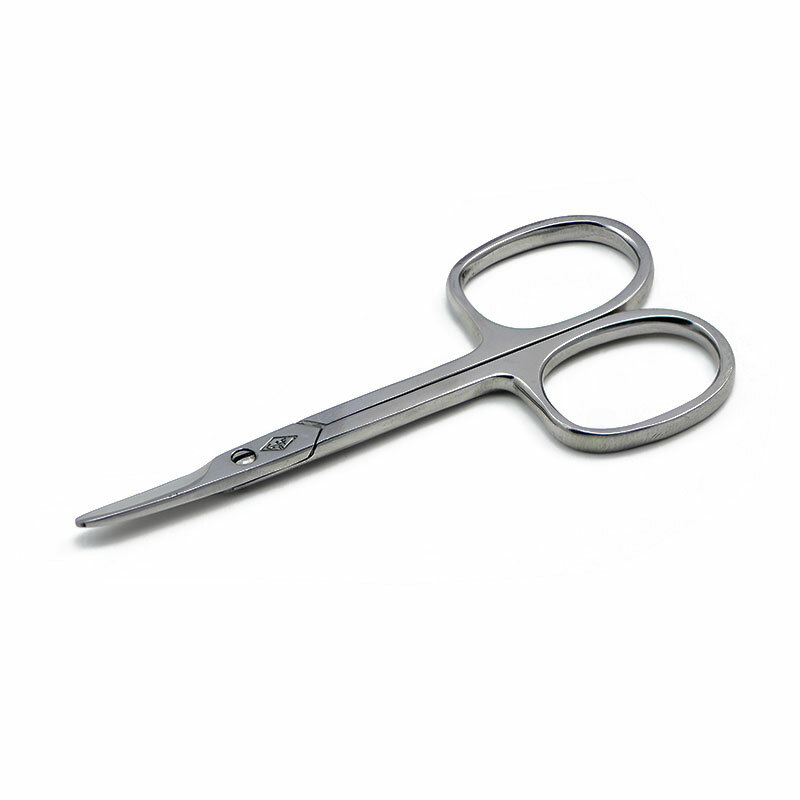 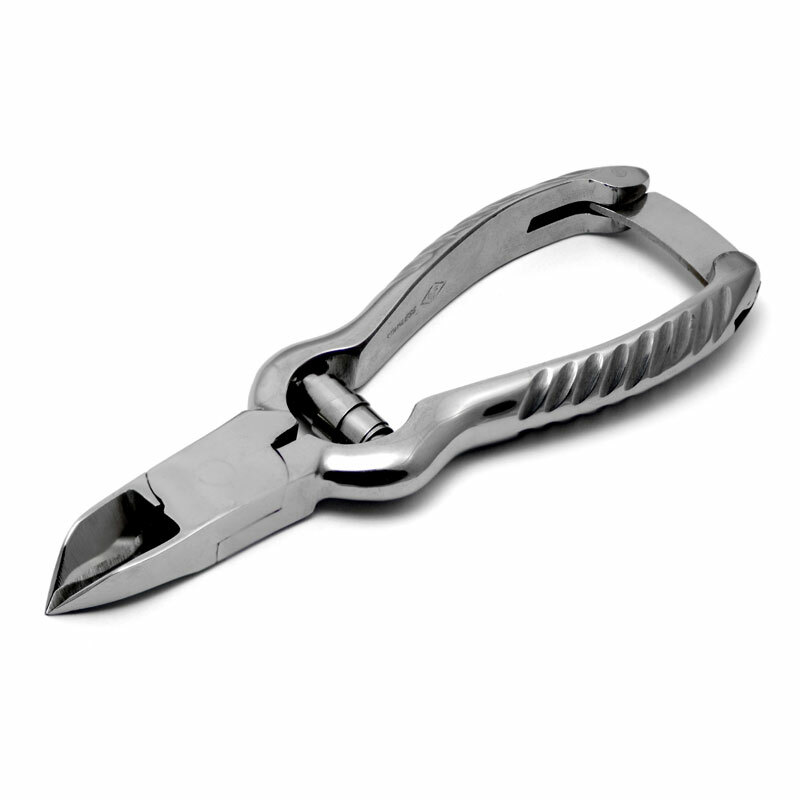 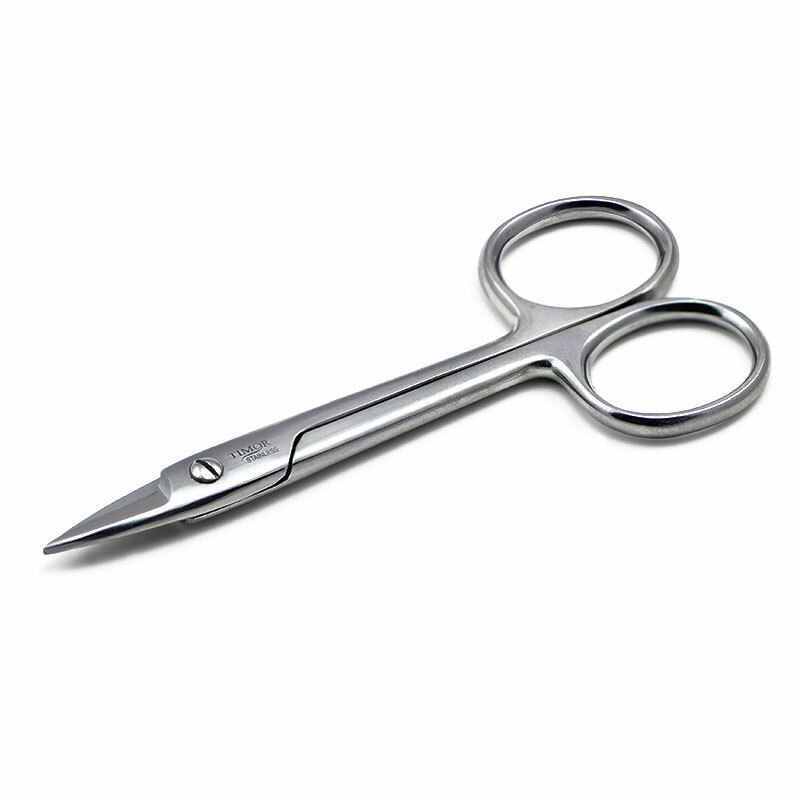 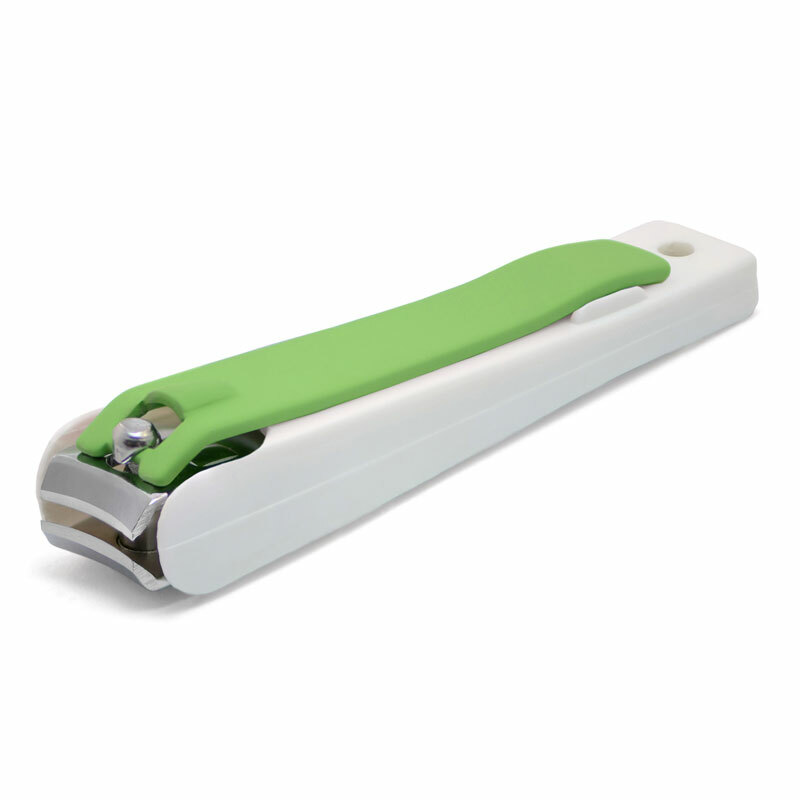 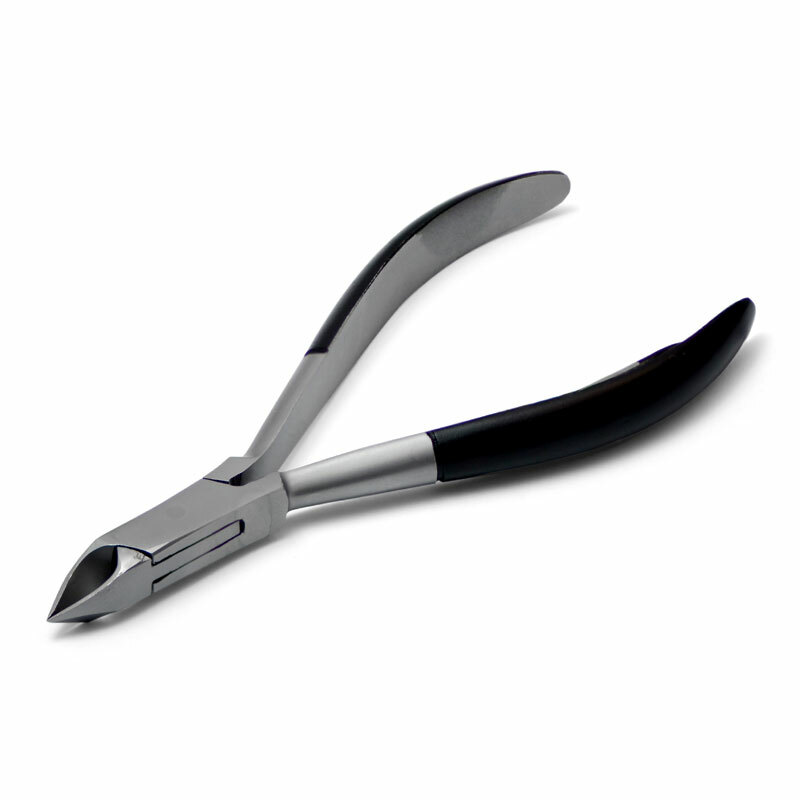 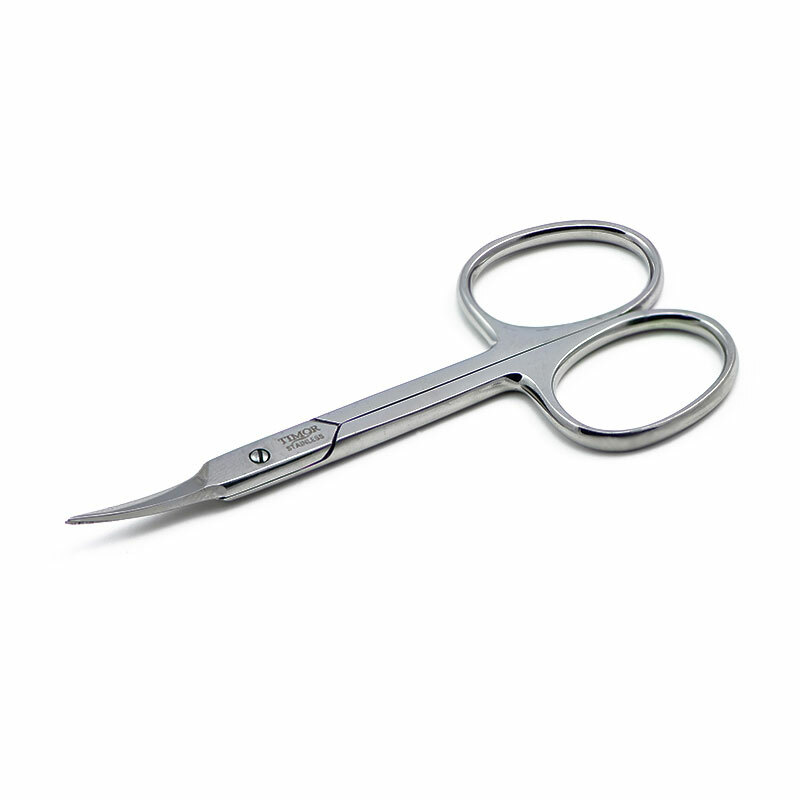 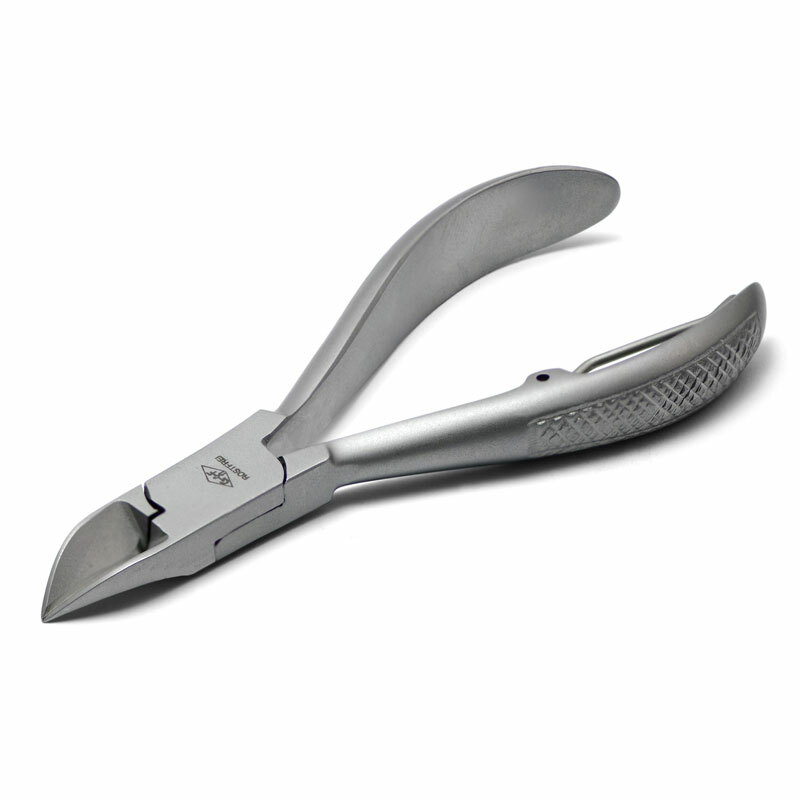 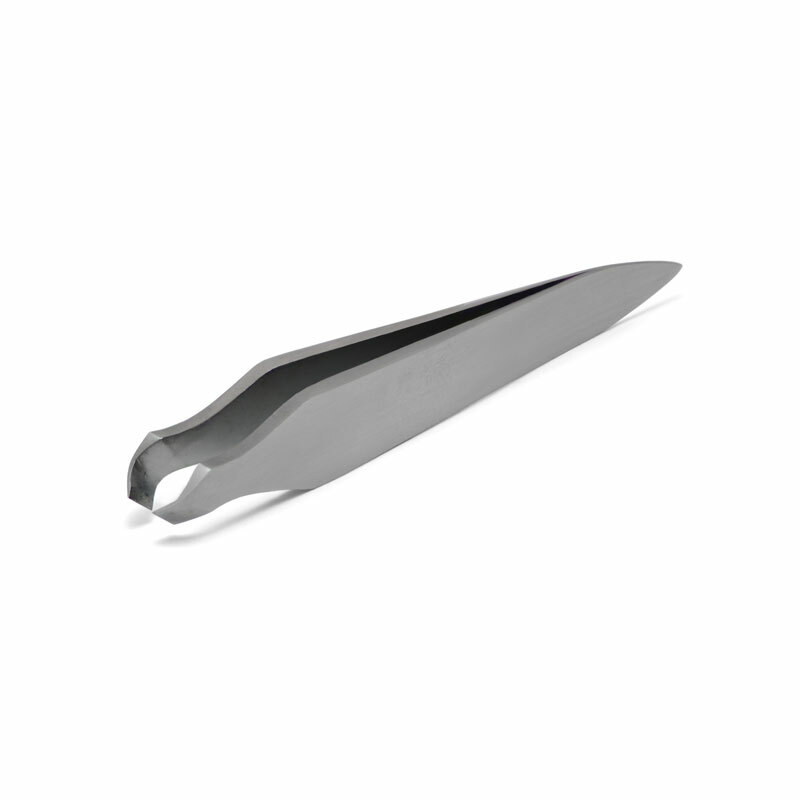 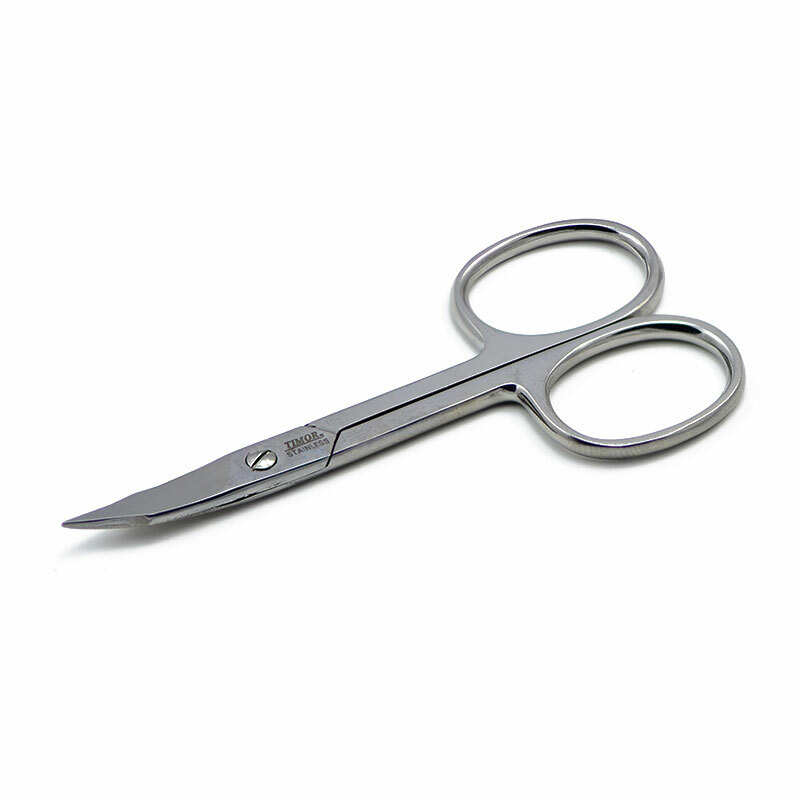 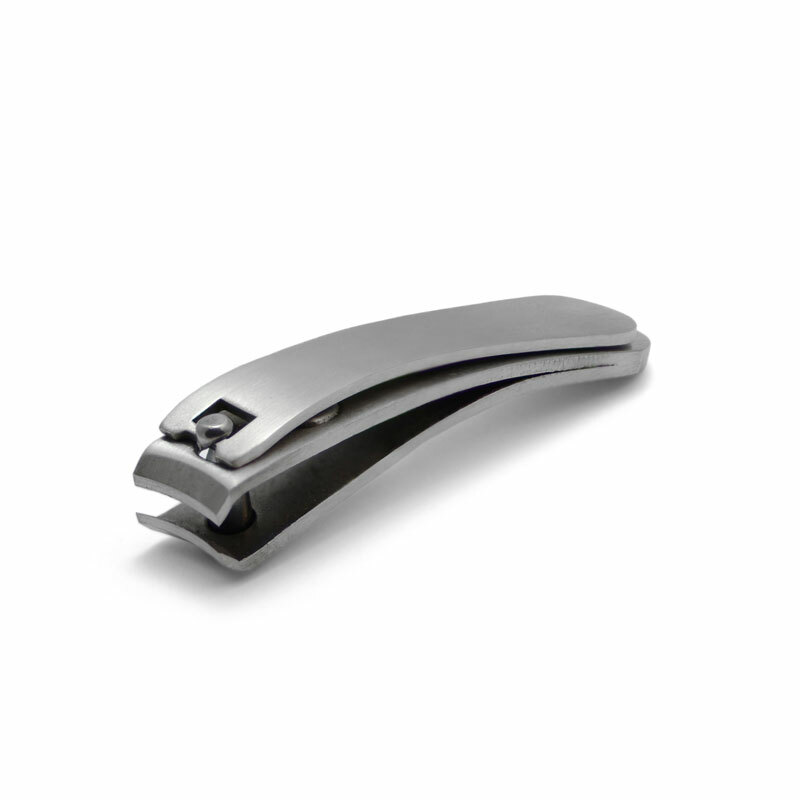 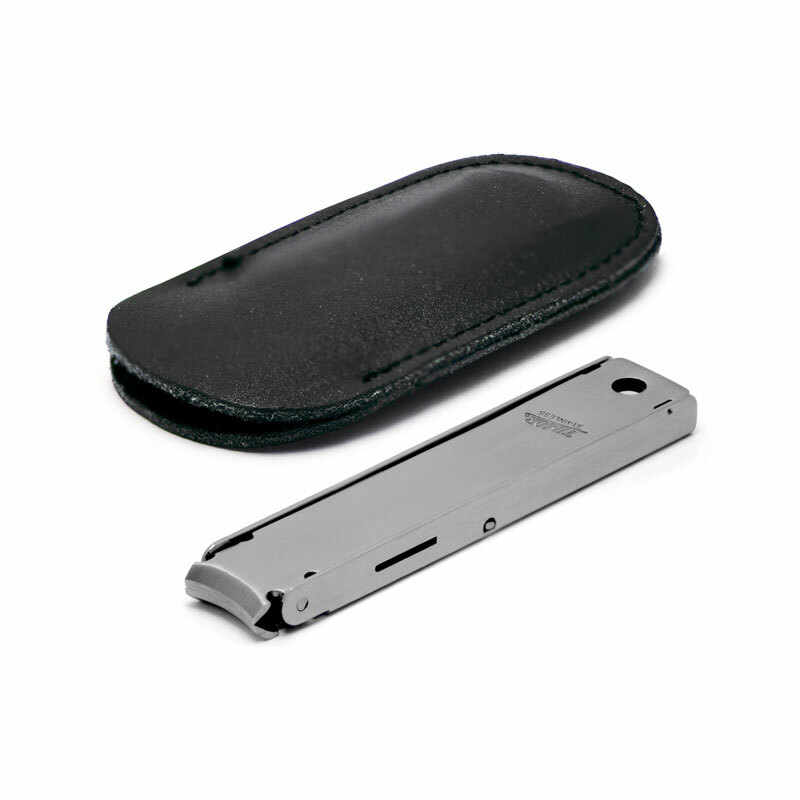 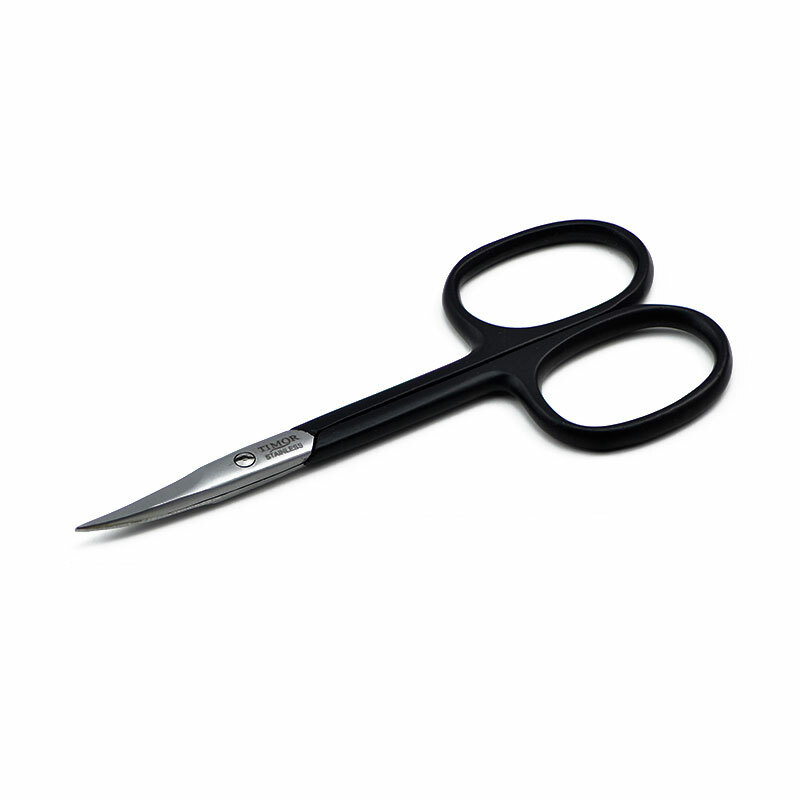 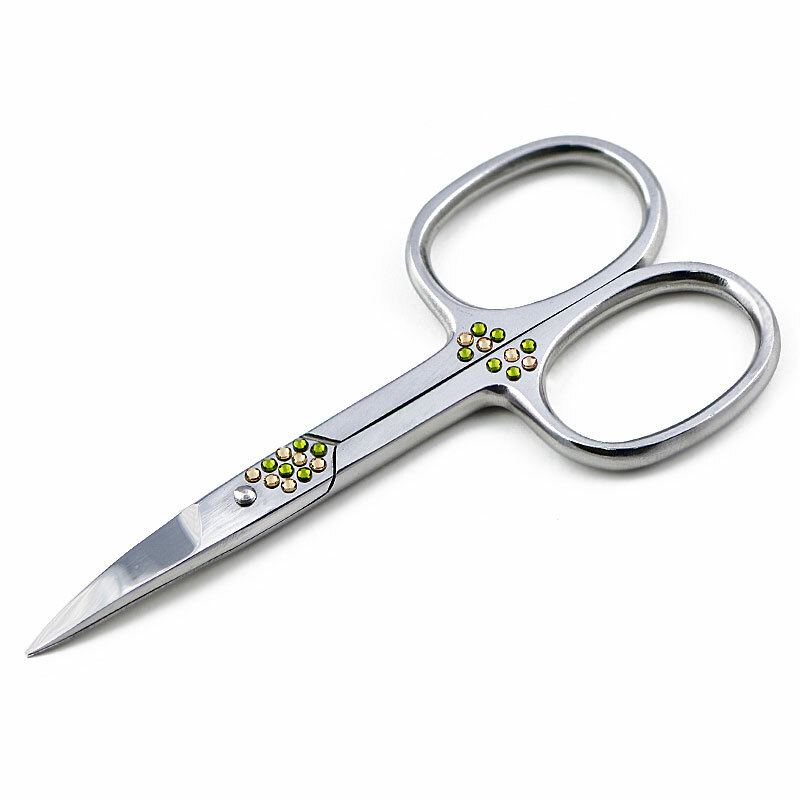 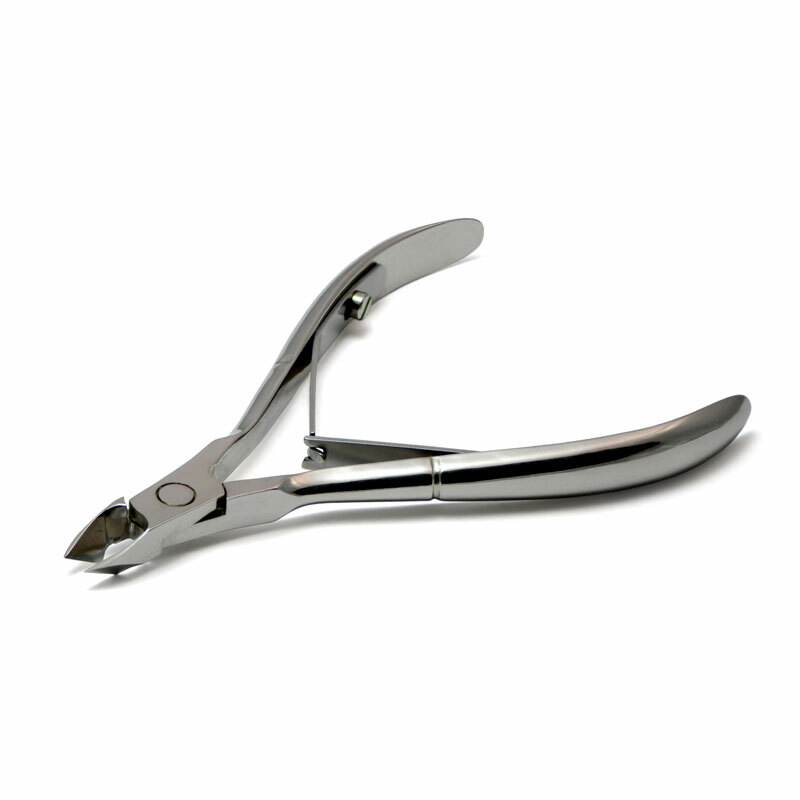 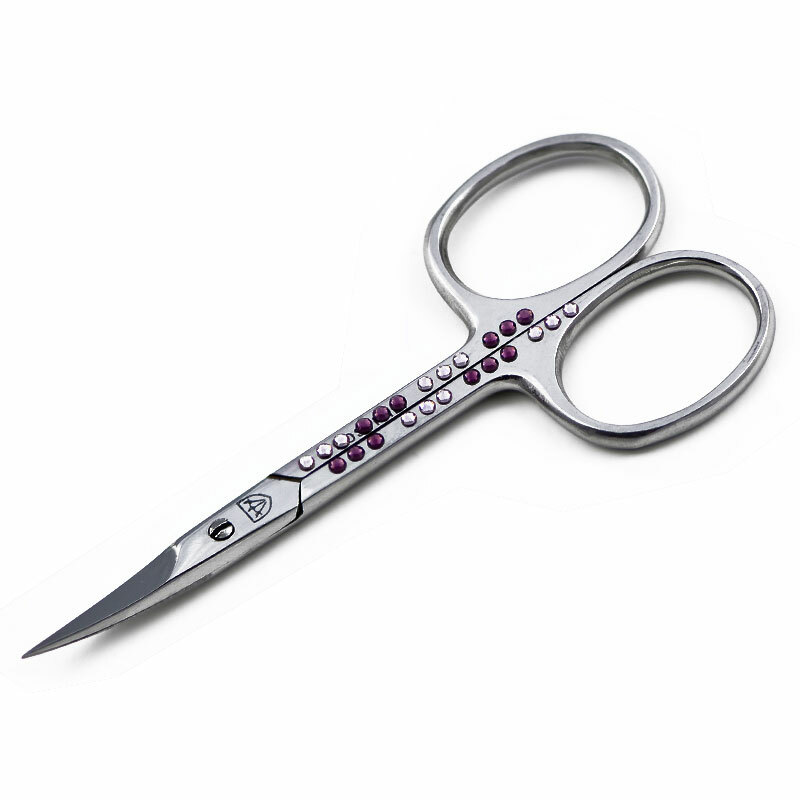 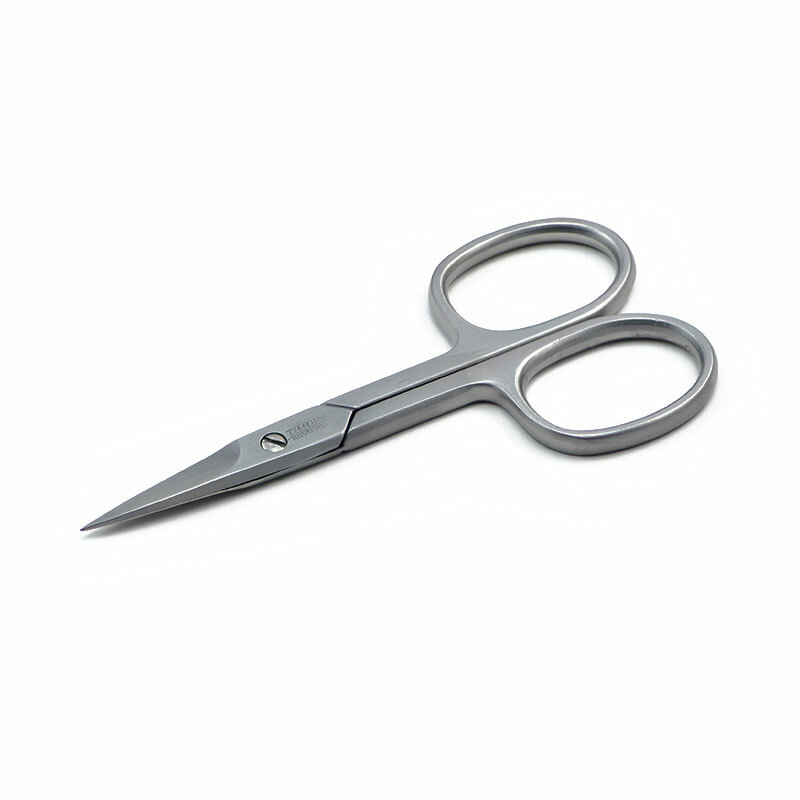 These nail scissors will serve you well for long period of time, they edges will stay sharp for more than 10 years. 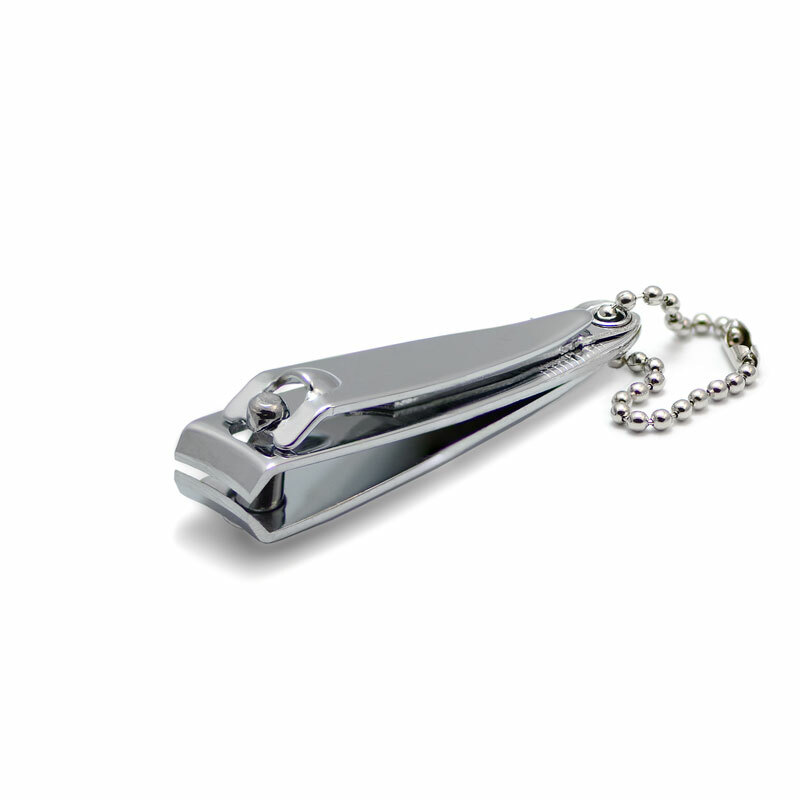 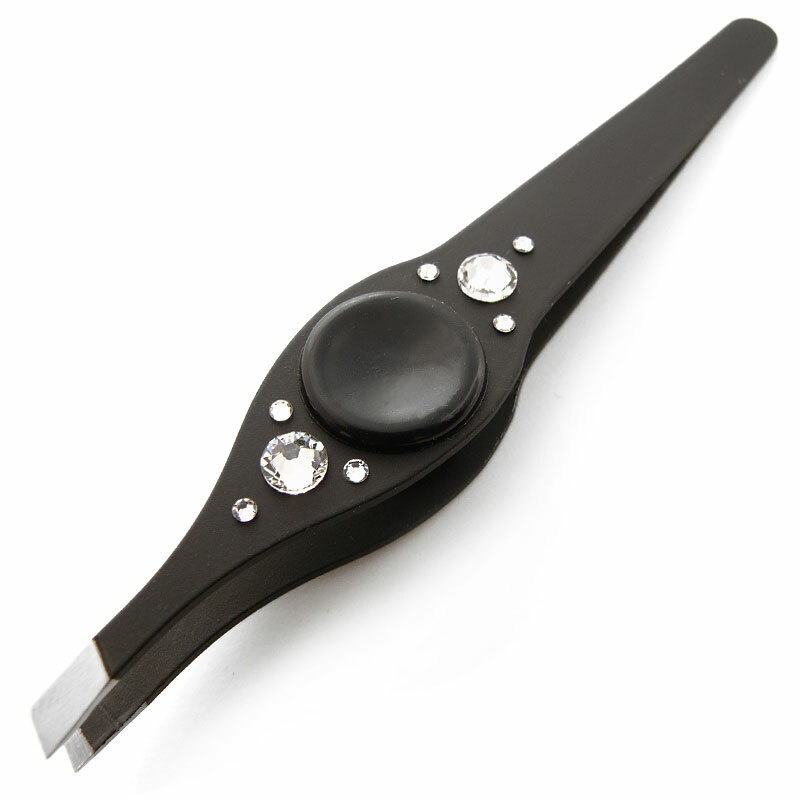 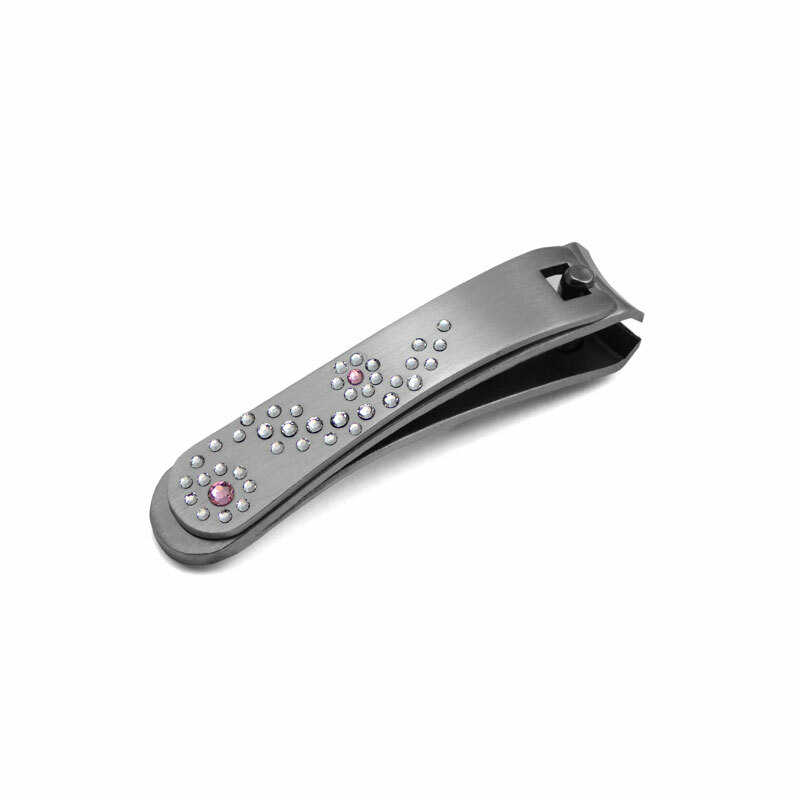 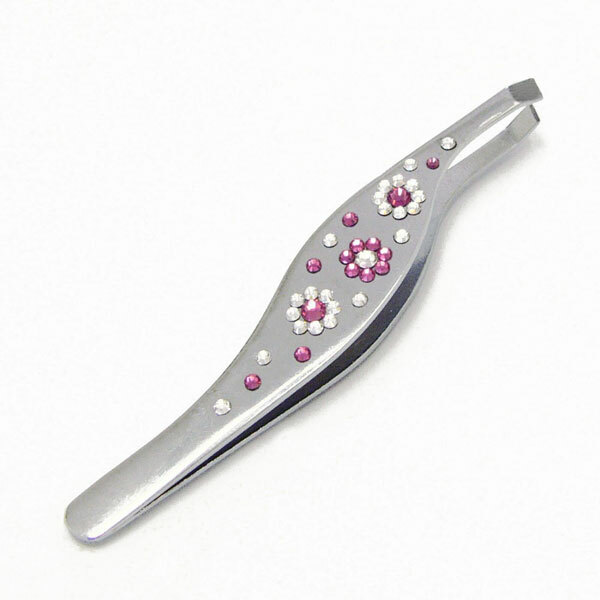 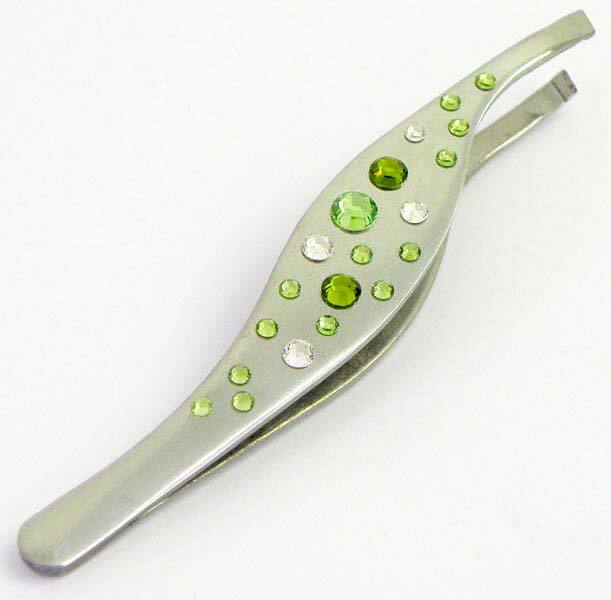 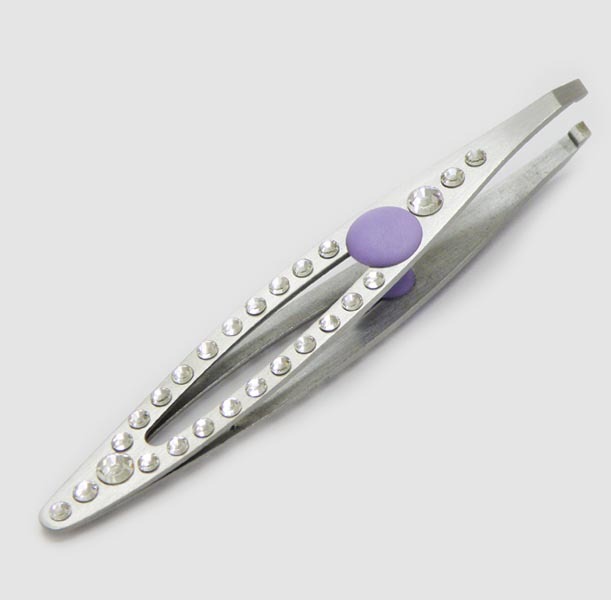 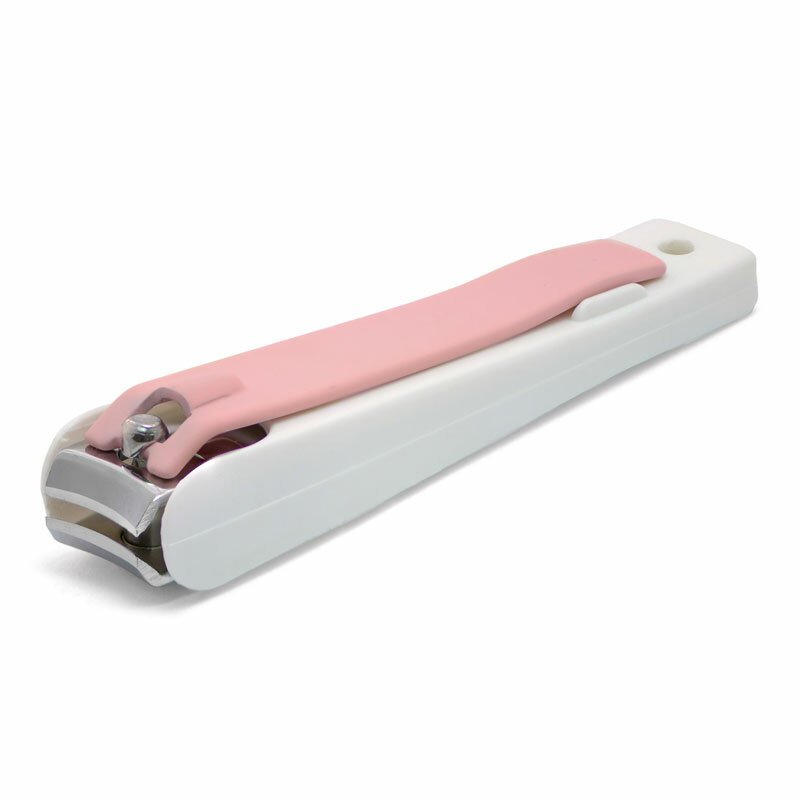 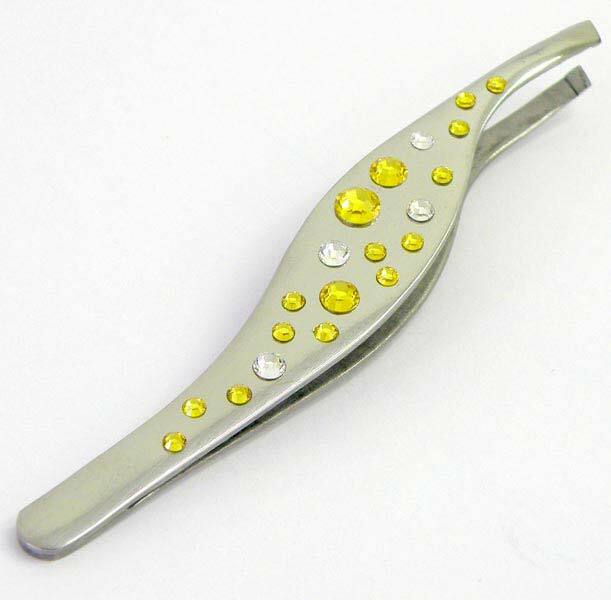 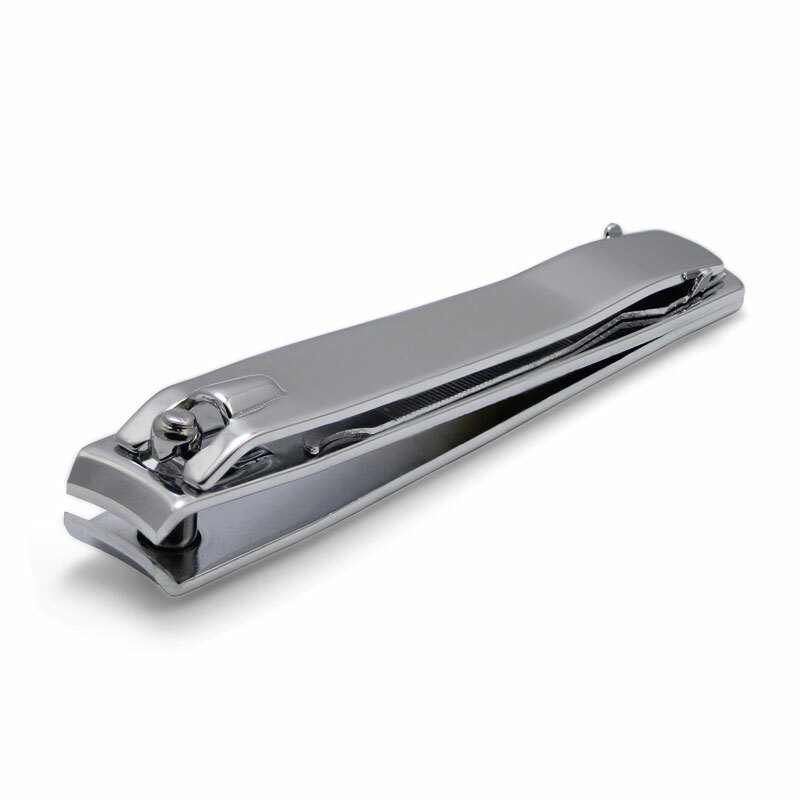 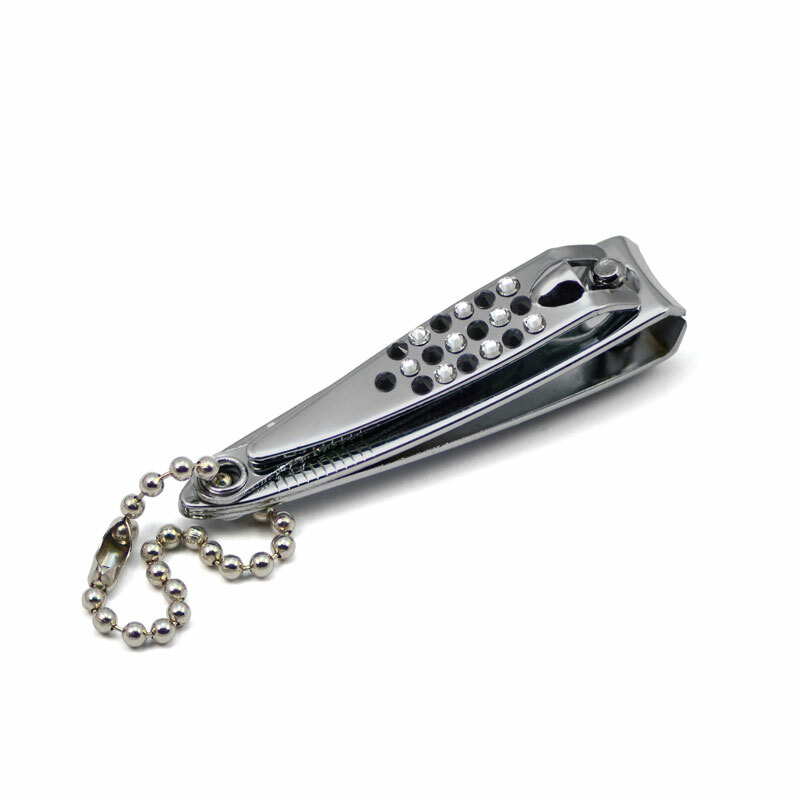 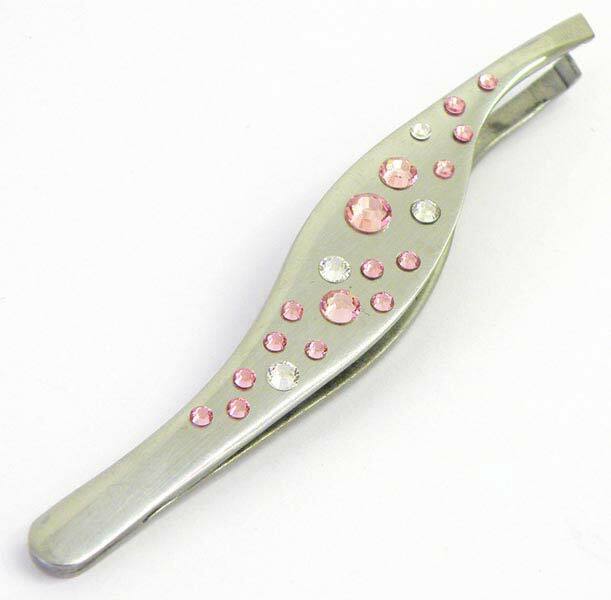 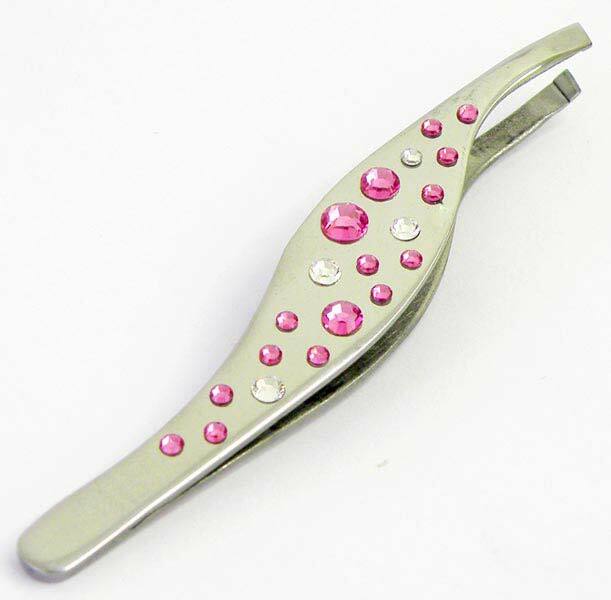 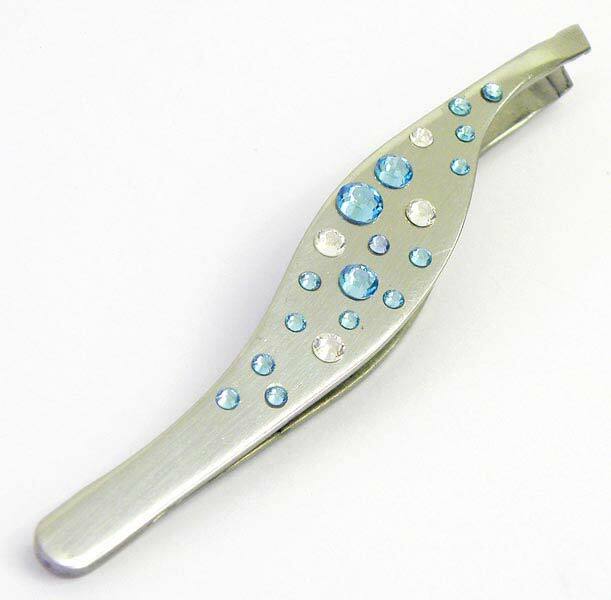 Part of Luxury beauty tools decorated with Swarovski crystals, visit Glass nail files page if you are interested in perfect nail care tool. Where to buy? 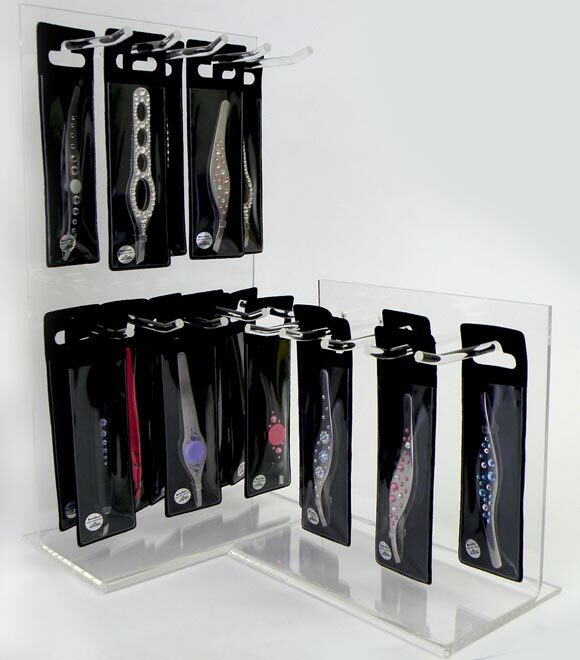 To buy one of the below mentioned products please visit our e-shop. 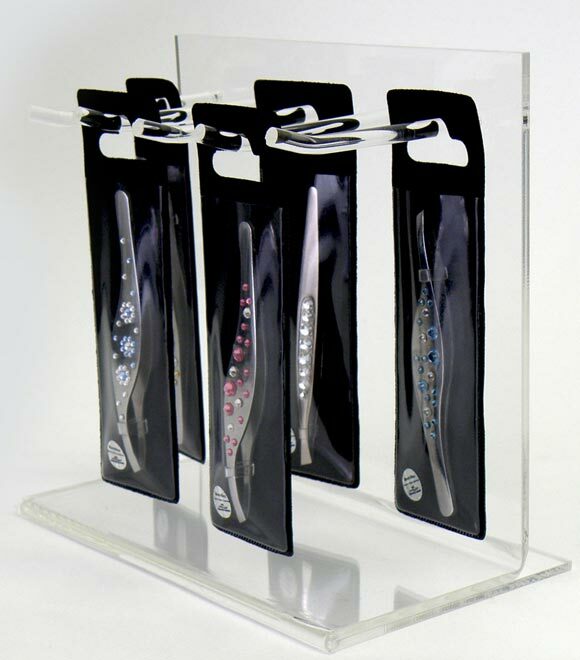 For wholesalers and retailers we have display stands for the tweezers for easy selling and distributing. 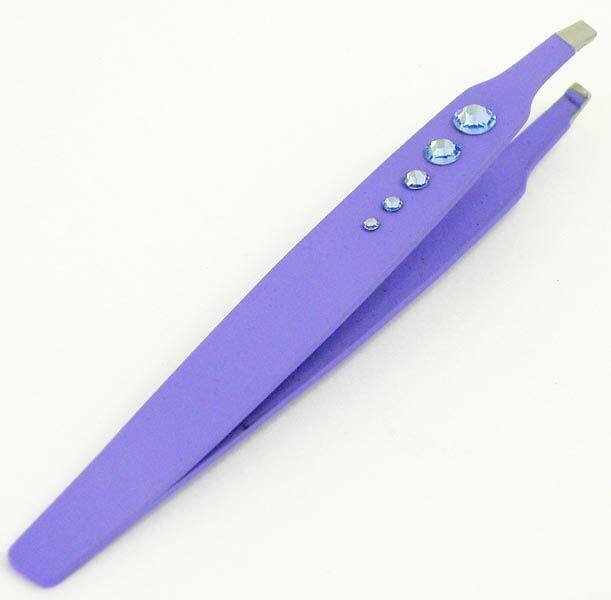 Size: 9cm / 3 1/2"